Hi. It’s me again. The Halloween-hater. It is over yet? A month of spooky plots on every show. Even the news. Women trolloping around in low-cut getups. Men strutting superhero suits. This is scary. A different kind of horror. Little zombies, goblins, witches. Fine. I’ll give you KitKats and KandyKorn. On Thursday. Orange pumpkins can stay in the fields or on farm trucks. None at my house. 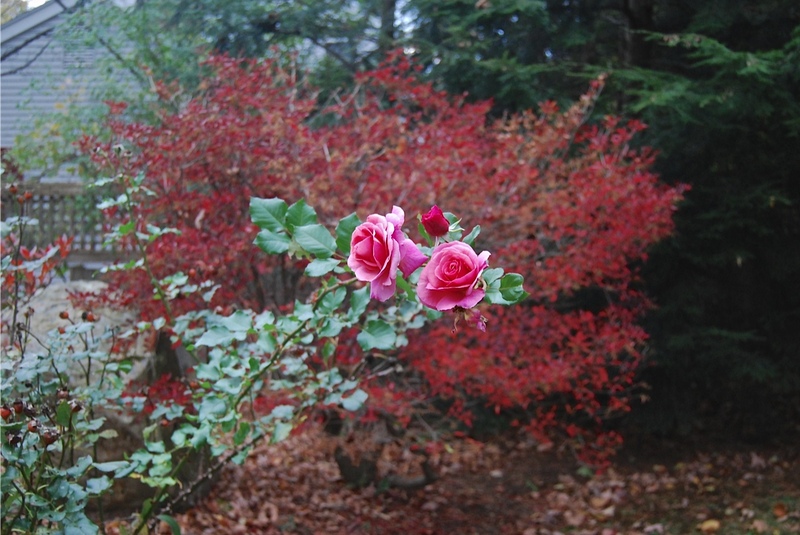 They’d clash with resolute pink roses in our October garden. The zombi stuff creeps me out! Not a fan of “Walking Dead”? !